Ted, thanks for taking my call. I wanted to let you know I'm Jay from the Sleazy Slimey Sunday show you just had who was in the Danger Danger shirt. Oh! Awesome, thank you for reminding me. That's really cool now I feel more comfortable, that's cool, man. Let me ask you real quick, did you enjoy the show? Dude, it was so much fun. Oh, thanks. Yeah, my solo stuff's fun, right? I don't try to be anything. We just have fun. I had a great time. You guys are so good, you play so tight. I've got to tell you, Ted. I was my first time seeing you but I've always been a fan but the way that you interacted with your fans was nothing like I've ever seen before. Oh, thanks. I love them. It's obvious that I wouldn't be there if I didn't. [Laughs] That's really cool, I appreciate that. I wanted to jump right into the new album. Your new album, Beyond The Fade, how did it go, how was the recording and talk about it. It was fine. It was a lot of fun making it. I recorded it in Italy. I rented an apartment near Milan, Italy and I got to cook for myself there and go out to local restaurants and have just a great time in Italy for ten days. I recorded the thing with Alessandro Del Vecchio, who's just a genius and a real sweetheart of a guy. He produced this thing and let me co-produce it as much as anyone could and I appreciate that. Basically, it was so much fun to make and I think you can hear it in the tracks. Fast forward to today, that was in last November that I did it and now it's coming out May 13th. Friday the 13th is my lucky day and it will be out. So far, the reviews are just the best ever. I figured I wanted to buy a hundred copies for the die-hard fans, that love me, that have supported me for years, that I could sign. I figured that would last a few weeks, that lasted exactly two days and now I'm getting hate mail from people saying, "I went camping over the weekend. I've supported you for thirty years and now your sold out!" [Laughs] So, now I have to try to buy fifty more or something to keep it going. Yeah, the two sweetest words any musician could hear, sold out! And, I sold out in record time so judging by that and the reviews this one should be really fun and a little mini-monster for me so thanks for your help. No, absolutely. I'm excited to hear it because I'm actually one of that one hundred. Oh, wow and thanks! We actually played one of the songs at that show which is the first time I've actually ever played anything and had it go over well that nobody's ever heard before. People were actually singing the chorus by the end and I kind of just did it to get me band ready to play it live for the year and I thought it would be fun but I didn't anticipate that people might actually like it so that was, kind of, fun. So, it was good. 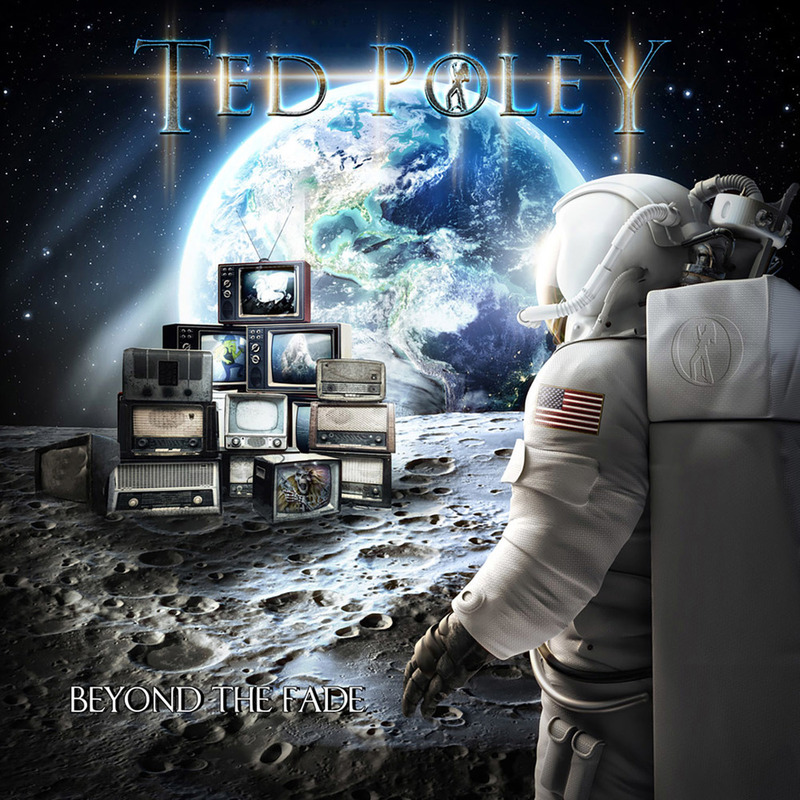 When it comes to writing for Ted Poley albums, is there anything different then when you would write for Danger Danger or is writing, writing? I don't write a lot in Danger Danger. I influence the sound by being me. I don't do a lot of the writing, I do a lot of song writing for my own stuff. In this case most of the songs were penned by Tom and James Martin who, at this point, I just love. I've been working with them for years, they have their own band called VEGA. It's funny, they have a CD competing with themselves. They wrote a lot of my CD and then they have their own CD with VEGA coming out the very same day, I think. So, that's fun for them. They have, basically, two CDs coming out that day but I love their songwriting. I sifted through about sixty songs before I whittled it down to the eleven that I ended up with and theirs ended up being most of them. Then, of course, I make them sound different and I add whatever it is I add to it and I rearrange and we rerecord and it sounds totally different but they are great songwriters, they know what I love and I trust them a lot. It's a good combination and I think it worked out great on this CD. What do you have coming up for this year? Are you looking to put together a solo tour for this album? I'm always touring. This will just mean adding a couple of new songs that we get to play to the set list. One of which, like I said, you've already heard live so that was cool and fun, it was nice to play something new. But, I'm always on the road whether it's with Danger Danger or my own solo stuff. I'm going someplace every couple of weeks. I love it so I'm always, sort of, on call. Except for two weeks of the year around Christmas. I just take off and go to the Caribbean. But, otherwise, I'm always on and I've got a new agent in the US so I'll be trying to play a little bit more then I have been in the US. I've been playing a lot over seas and South America and Europe, that's just the way it's been working out. However, now that things are heating up again in the US, I have a new agent here and I'm trying to get into a lot of the festivals. I've been doing some of the Farm Rocks and, or course, I've been doing the Monsters of Rock cruise, I love those people. So, I love doing the festivals, you can show up and then hang out with other bands that are your friends and it's a lot more fun then just driving to one club by yourself. [Laughs] It's a party. I love playing and you don't know how many times I've shown up and my friends in FireHouse or Trixter or any of these bands and I get to hang out with my friends as well as have a good show so it's a lot of fun. When your looking to put together a show for your fans, do you try to make it as interactive as possible? Everything from the crowd singing choruses, you getting down there with them and balloons and all that kind of stuff? [Laughs} Yeah, I can't travel with pyro or truckloads of things like KISS so my stage show has to fit in a carry-on. So, yeah, I love things like balloons or anything I can give to fans that's fun. That we can blow up be interactive and have fun like that. As you've seen, I like to go up to the audience and I've been known to get tattoos live on stage while I'm singing, anything to keep it interesting and new. I truly do enjoy what I'm doing so I like to keep it fun. As far as putting a show together, there's certain songs I feel the fans, some of which have never seen me such as yourself or some have waited twenty, twenty-five years, might have been disappointed had you not heard so I always try to get to those. But, there's songs I'll play, even by Danger Danger, that you might not hear at a Danger Danger show just because I like to keep it weird and interesting. You'll never hear any of my solo stuff at a Danger Danger show so you got to hear stuff from Bone Machine and some of my solo stuff and a song from the new album. And then covers, I love to cover some of my favorites. Somebody requested "Purple Rain" (Prince) at your show so I did that and I did a KISS cover. I always love to throw in some stuff at the end so my solo shows are TOTALLY different from a Danger Danger show. I've got one more thing for you, Ted. What have you noticed has really changed from the 80s when Danger Danger was really riding high to what the music scene is now? Well, like everything else, life goes on. Life changes. It was fun while it lasted. We were in, sort of, at the tail so we never, I don't feel got as big as Danger Danger could have had we started four years earlier because we were right at the the end, about a quarter of grunge, about fifteen minutes to grunge we were in and then we were out. It's like anything else, when I was a kid, I loved The Monkees and then there was a period that The Monkees were way out and then there was a period where The Monkees were fun again [Laughs] and now they're, kind of, limping to the finish line but they're still kind of fun. So, I'm in that period now, I had a rough couple of decades don't get me wrong, but know i think I'm to the point where I see the music scene, at least from my generation, because it's a different perspective depending on when you were born or what you lived but I see know that when people hear my songs, they're not just hearing an old song, what they're doing is they're having a feeling and it's a feeling because they lived it. It's like the soundtrack of what they actually lived and some of the memories that they really are fond of so in that way now I've become The Monkees during the phase when they're more of a nostalgia thing and people are happy to see them because they're happy about a time in their lives that I remind them of. So, that's awesome because, in a way, they are happy to see me because they are happy to re-live stuff or put on a CD of mine to re-live that and so, in that way, I think it's really cool so when I show up now it's almost live everybody's just rooting for a good show and having a fun time and that's what it's all about and people my age are dropping like flies so I'm just happy to be able to keep doing this at my age. I definitely understand that. When we were going through that little stretch of, unfortunately, losing friends and family, did you ever question your mortality? Ted, thanks a lot for taking some time to talk with me. It was awesome. Thank you, man. I want to thank everybody and put in a thing at the end. I want to thank everybody, especially for all your support, I hope they'll enjoy the new CD and remember everything I do I try and donate a little something to homeless animals, to animal shelters around so I ask that everybody just keep that in mind and if they don't want to buy the CD donate a couple of bucks to a No Kill animal shelter near you and thank you very much.